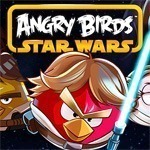 Rovio has been teasing us for about a month now with yet another new Angry Birds title – Angry Birds Star Wars. 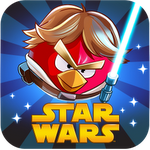 The game is an almost inevitable mash-up between the smash hit mobile game and one of the most famous science fiction films of all time, and features (as you'd expect) light-saber wielding, force manipulating, laser-shooting birds. They are, of course, angrier than ever and they'll be battling more thieving pigs in more Star Wars-inspired environments than we care to count.